Otto is a masculine German given name and a surname. It originates as an Old High German short form of Germanic names beginning in aud-, an element meaning "wealth, prosperity". Haguna or Hagana is a historical Germanic name. It is attested in the form Hagano in Old High German and as Haguna and Hagena in Old English. 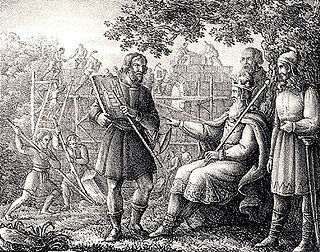 Old West Norse has Hǫgni, presumably loaned from the character in German legend. Old Danish has Haghni and Hoghni; Old Swedish Haghne and Høghne. Arnold is a masculine German and English given name. It is composed of the Germanic elements arn "eagle" and wald "rule, power". 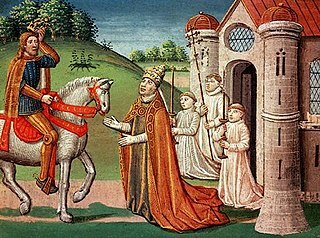 The name is first recorded in Francia from about the 7th century, at first often conflated with the name Arnulf, as in the name of bishop Arnulf of Metz, also recorded as Arnoald. Arnulf appears to be the older name, and German (Frankish) Arnold may have originally arisen in c. the 7th century as a corruption of Arnulf, possibly by conflation of similar names such as Hari-wald, Arn-hald, etc.